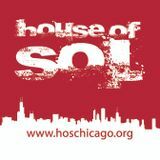 House of Sol is Chicago’s only free outdoor DJ showcase dedicated to the city’s home-grown sound of House Music. The event is featured as a part of Chicago’s annual Fiesta del Sol 4-day street festival, which attracts well over one million attendees every year. Since its inception in 2007, HOS has featured many of Chicago’s hardest working local DJs/producers who continue to make a name for themselves in some of the city’s biggest and most notorious nightclubs & venues. Some of the local artists who have participated over the past seven years include: Johnny Fiasco, Maurice Joshua, Iz & Diz, Paul Johnson, DJ Heather, Justin Long, Marshall Jefferson, Gene Hunt, Terry Hunter, Stacy Kidd, CZR, Lady D, Bear Who, John Simmons, Steve Poindexter, Kid Enigma, Mike Dearborn, Andrew Emil, Jesse De La Pena, Ed Nine, Rob Threezy, Charlie Glitch, Frique, and many more! Now entering it’s 8th year, House of Sol continues to represent Chicago and our influence on today’s House Music culture.